Our ‘Music of Desire’ programme happens to contain some of the most delicious flute solos in the orchestral repertoire. 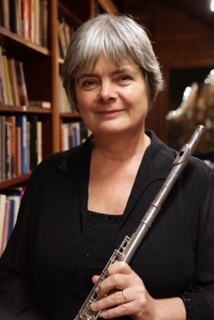 In celebration of this, on Saturday, before the orchestra rehearses, our brilliant flute section will be having a masterclass with professional tutor, Sarah Newbold. While the masterclass will focus on our three flautists, Sarah will also do some general warm up and technique work. Any flautist at any level is welcome to join our players for these sessions. Indeed, any interested members of the public are invited to watch the masterclass. No booking is necessary, just come along when you like (please enter and exit quietly). The masterclass will take place in the main hall of the John Madejski Academy (details of how to get there are here) from 0930-1215, on Saturday 26th January. Feel free to email APO music director, Andrew Taylor, if you’d like more details.